Mary-Anne is a native Haligonian an accomplished, passionate dentist with a focus on cosmetic dentistry, TMJ disorders and comprehensive dentistry. She continuously seeks to upgrade her knowledge to ensure her patients get the very best treatment and care. Mary-Anne has completed training from numerous highly recognized institutes throughout North America including the Dawson Center and Las Vegas Institute (LVI). Mary-Anne is a St. Mary’s alumna who received her doctor of Dental Surgery from the highly respected dental school at the University of Western Ontario in 2001. Mary-Anne and her husband Michael enjoy spending quality time with their two children, maintaining an active lifestyle and enjoying the hospitality and entertainment provided by Halifax’s many local businesses. A true Haligonian, Dr. Murty was born, raised and educated right here in Halifax. She makes it her primary practice to put a smile on the faces of each and every one of her patients. 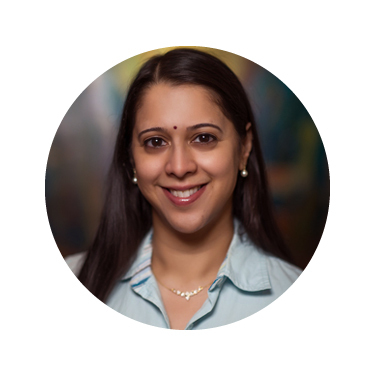 In addition to the compassion she has for her patients, Dr. Murty has a passion for education. She graduated from the University of Dalhousie, Faculty of Dentistry in 1999. Since this time, she has continued to upgrade and further her education with numerous courses. Dr. Murty has a particular interest in periodontal treatments (gum therapy) and dental implants. Most recently, she received a fellowship from the International Congress of Oral Implantology (FICOI). Dr. Murty also takes great pride in teaching at the Department of Dental Clinical Science Division of Periodontology at Dalhousie University. Dr. Murty strives to ensure that all of her patients feel heard and well taken care of. She takes the time to listen to all of her patients concerns and ensures that they are active participants in their treatment options. Dr. Murty is also skilled in different forms of sedation, such as nitrous oxide, to offer even more comfort for her patients. When Dr. Murty isn't teaching and working, she’s travelling, running and spending time with her husband and two sons.